As the pixels on the Jumbotron clock clicked over to 6:20pm on Sunday 30th April, and referee Michael Oliver sounded the two-short-and-one-long blasts of his whistle, White Hart Lane finally witnessed the moment we have been craving for over two decades. Spurs 2. Arsenal 0. A mathematically insurmountable 17 point chasm. 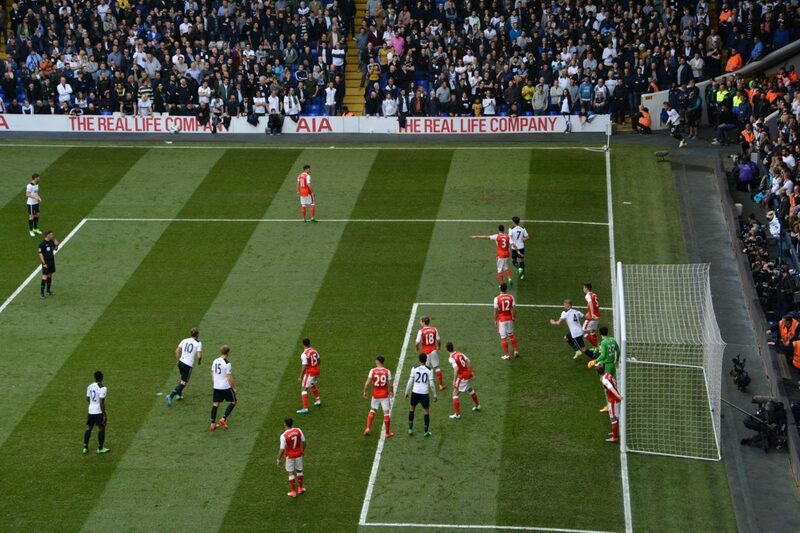 North London dominance, for one season at least, restored to the only club that truly belongs there. St. Totteringham’s Day cancelled. A time to celebrate. And yet, as the game drew its final breath, I could not help but feel slightly numb. This game, these last few moments, were to be the last time I would set foot in the old White Hart Lane. In the build-up to the game, this prospect is what kept me from my usually frantic pre-NLD state and gave me more of a sense of foreboding as my tube train screeched along the Victoria line. So many memories as man and boy. The connection that Spurs and the Lane gave my father and I in the early years. And later sitting alongside my best mate as we witnessed the club slowly haul itself out of mediocrity. Living abroad for the past 3 years, my attendance at games has been less frequent than the weekly occurrence they used to be. This day had been marked on the calendar for months. I’d even rejoiced at their last-gasp winner in midweek, which meant that a Spurs win in this fixture would be the one that finally closed that long and painful chapter of underachievement. But It turns out it is possible to both look forward to and dread the same event simultaneously. I found myself wanting every second on the train, every step up the High Road, every song in the Bill Nich to last that little bit longer so I could allow these future memories to indelibly imprint themselves on my brain. 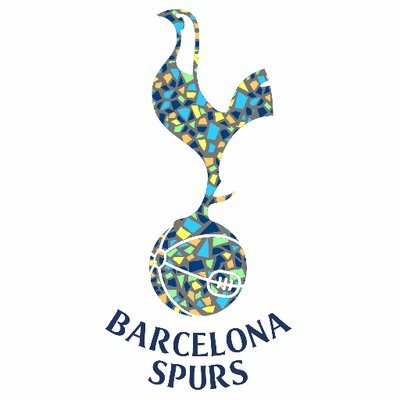 My only wish was that Spurs, just for once, delivered the result that the narrative demanded and made this a happy ending. 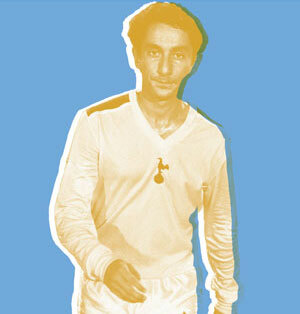 The connection that Spurs and the Lane gave my father and I in the early years. And later sitting alongside my best mate as we witnessed the club slowly haul itself out of mediocrity. I’m sure I’m not alone in being grateful to the fixture computer. The old enemy, at home, at the business end of the season. Where a win for either side can mean much more than just bragging rights. For those of us not lucky enough to be able to see the final game against Manchester United, is there a more fitting way to say goodbye to this collection of bricks and steel that has been such a constant anchor in our lives full of change and uncertainty? In some ways, my life with Spurs has been bookended by this fixture. Putting aside that I was born the day Spurs beat Arsenal 5-0 at the lane; my first season ticket as a youngster was 94-95, the last time we finished above them. What followed was years of disappointment ranging from the totally abject late 90s/early 00s, to the impossibly unfortunate in the years following lasagna-gate. How appropriate that this curse should end on the final ever occasion I’d see those detestable red and white shirts polluting our hallowed turf. Referring to their period of extended league dominance, one vernacularly challenged member of the Arsenal Fan TV circus once said of the Spurs/Arsenal rivalry, “I used to cuss man at school yeah blud” (or was it fam?) For years I was one of the cussees. Unable to skulk into the classroom on a Monday morning without a barrage of abuse. That was the typical life of a Gen Y Spurs fan. If only there were a school reunion on the horizon now. As for the game itself, the only thing that spoiled the occasion was how utterly abject our opponents were. Lining up in their belated attempt at the fashionable 352 formation, the Arsenal players seemed content with just keeping our ravenous lilywhites at bay. No passion, no drive, no adventure, no skill. As joyous as it was to totally outplay our sworn enemies, in hindsight it’s a bit of a shame their performance didn’t live up to the occasion. The red shirts were there, but they were empty shells. Arsenal of 2017 are a wretched meme. A haunted shadow of greatness. They are zombie Arsenal. Dead and yet somehow still animated enough to appear alive. How appropriate that this curse should end on the final ever occasion I’d see those detestable red and white shirts polluting our hallowed turf. However, for most of us who’ve been following Spurs since the last time we were North London’s top dogs, we weren’t just battling Sanchez, Ozil and the rest of the current gang on this day. With every attack, every battle won in midfield, every defensive shut-out we were slaying the tormentors of our past with ruthless ferocity. Adams, Parlour, Pires, Henry, Judas, Cole, Vieira, Szczesny. A litany of pantomime villains. They may not have been there in body. But in the minds of the Spurs faithful we still see their spectres, those smug faces revelling in our misery. Winning the league, taking selfies, dancing on our dreams. Finally these ghosts were exorcised in decisive fashion. 17 points. SEVENTEEN! I’m not sure I’ve ever celebrated two goals with such pure, guttural joy. I thought last season’s match was the pinnacle in terms of post-goal mayhem. It seems we still had another couple of notches to go. And so, with a 2-0 lead and the newfound confidence that this team don’t ‘do’ letting these slip, the final few minutes for me were neither filled with nerves nor celebration. But instead a kind of ultimate satisfaction, with more than a thin layer of reflective melancholy. The joy, the noise, the not knowing whose limbs are all around you. Whose shoe even is this? Will this all be transported with us into our new home or will it be consigned to history? Shuffling out of the Park Lane lower and towards the gangway, I forced my eyes to take in every little detail of the scene around me. I breathed the air deeply. I allowed a tear to roll down my cheek. Days like this are what it has always been about, and I am going to miss it dearly. As we now venture into the unknown, I am forever grateful that I was one of the 36-and-a-bit thousand people that got to witness this glorious day in a place so dear to me that will soon be no more. At 6.20pm on Sunday 30th April, we won and we lost at the same time.